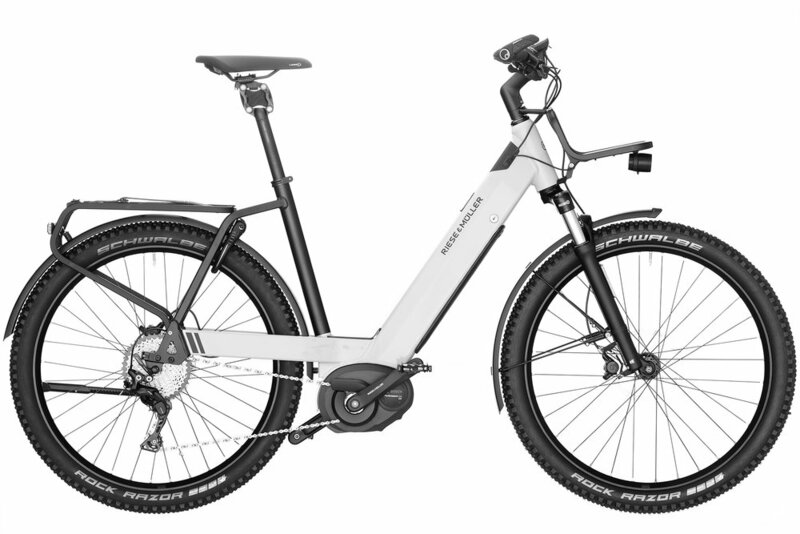 Riese & Muller eBikes 2019 - What's New? Since 1993, Riese & Muller have placed riders and their needs at the heart of every development. Now, Riese & Muller are paving the way for future mobility by producing eBikes with exquisite attention to detail and world class craftsmanship. Here we take a closer look at the pioneering movements Riese & Muller have made for their 2019 eBike range. The Culture GT has a classic design with an optimised geometry for comfortable riding. The full suspension chassis can carry heavy loads, while maintaining supreme comfort thanks to Riese & Muller Control Technology. The Homage wins you over with an exceptionally dynamic riding experience thanks to Control Technology and a striking design. Whether you want to ride in the mountains or in the city, it's capable of both. The Homage is available in 2 models - The Homage GT Vario with the Enviolo continuous transmission, or Homage E-14 Rohloff with the 14 speed brilliant electric gearing system. Both are very wisely specced with the Gates belt drive, Supernova lights, 500Wh PowerTube with the ability to upgrade to Dual 1000Wh battery. Other upgrade options include ABS, Bosch Kiox and COBI. The Nevo's design has incorporated the Bosch PowerTube into the unmistakable puristic frame for 2019. The sporty low step style is ideal for touring or city riding. The Nevo is the companion for every day and and, with the new GX variant, it is now also the world's first all-terrain-through eBike to offer great driving pleasure off the beaten track. The Nevo is available in 3 styles - GT City uses the trusty Shimano Nexus 8-speed hub, the Nevo GT Touring uses the Shimano Deore 10-speed derailleur which is over 1kg lighter than the GT City. Finally the GH Vario has Enviolo continual variable transmission. Like the Nevo GT/GH models, the beautiful design incorporates the Bosch PowerTube, with the ability to upgrade to a 1000Wh dual battery. The GX is designed for more challenging routes through the city or across trickier terrains. It's new design and it's off road qualities bring a thrilling experience to the trail. Th eGX is available in 2 options - The GX Touring has Shimano Deore XT 11-speed gearing, where as the GX Rohloff features the excellent E-14 electronic shifting gearing system. The Load 75 is even more flexible than any previous eCargo bike. It's an evolution of the Load 60 with a large loading capacity and a wide range of potential uses. The front cargo surface has a total length of 75cm, and the load volume is increased by a total of 50 percent compared to the Load 60. With extensive accessory options, the Load 75 offers the the best transport conditions for private and commercial use. Available in either Touring or Enviolo continuous variable transmission models. Upgrade options include Bosch Kiox, 1000Wh dual battery and a host of cargo options. The Multicharger is perhaps the most intriguing addition to the Riese and Muller range for 2019. It's a cargo optimised eBike in an off-road style. 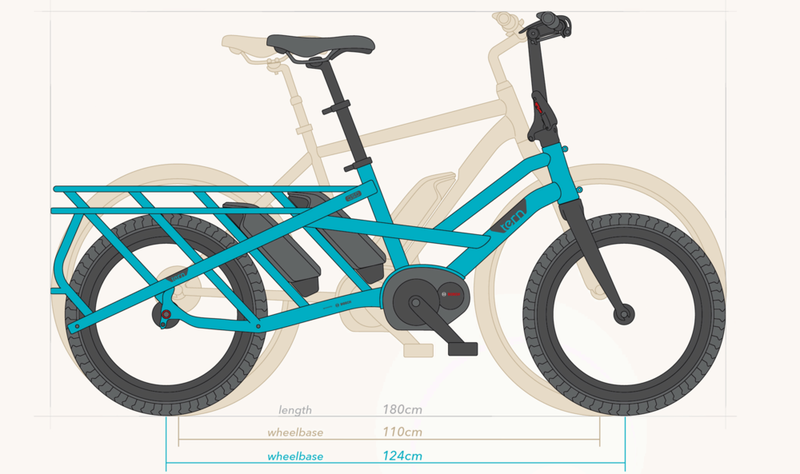 It's carefully designed cargo equipment options make the ideal touring, family or transporter eBike with only a slightly longer wheel base than the charger. 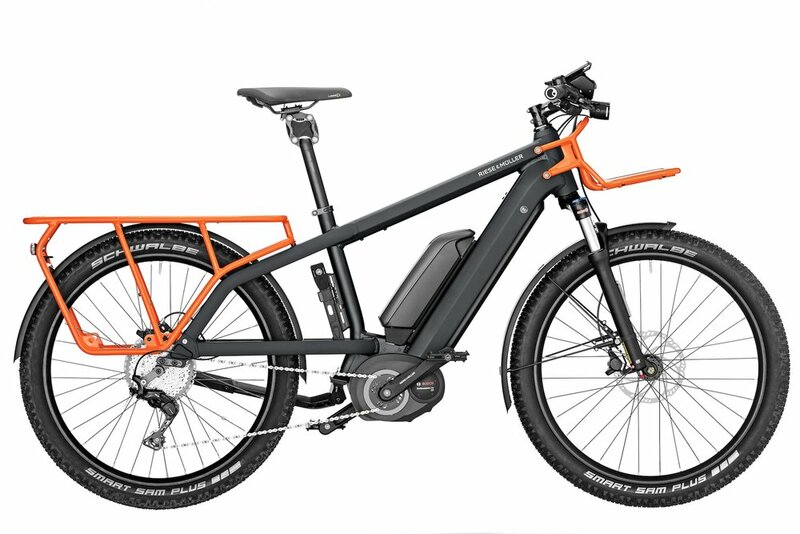 With it's unique colour and design, it's an unmistakeable eBike that can do anything and everything. It's as versatile as a Tern GSD, as nimble as a Riese and Muller New Charger and as heavy duty as a Riese and Muller Packster. One for all and all for one! Available in 4 options - Multicharger light, Multicharger GX touring, Multicharger city and the Multicharger Vario. All pre-orders will be delivered after March 2019. The best selling New Charger, Tinker, Delite and Supercharger will be staying the same for 2019. All Rohloff models for 2019 will be using the E-14 electronic shifting instead of manual shifting. To see the Riese & Muller 2019 range, click here﻿. At Rondo they are all competitive guys - they ride fast, they race - but they don't need a bike for the CX World's. What they want from a drop bar bike is to be able to go long, and go fast - especially on rough roads. So, after over two years of development, they came up with a tool that they believe is the ultimate solution for real-world riders. To start with, the RUUT CF is built around a lightweight carbon frame with some unique features created by an awarded team of bike designers. The lateraly rigid front triangle will transfer all your energy during those out of the saddle sprints, whereas the compliant rear end with flex points on seat stays, top tube and seat tube will take the edge off potholes and bumps - to the extent that they noticed some riders actually checking if there isn't a big volume MTB tire sitting on their rear wheel! In other words, the RUUT CF is perfect for covering long distance off road, but there is no compromise at all in power transmission. The next significant innovation is the award winning, carbon TwinTip fork that allows you to adjust the geometry to your personal preferences and riding style. The HI position setting, with steeper angles, smaller trail and a lower riding position will be the choice for racing and dynamic, sporty riding. The alternative fork setting gives the bike slacker angles, longer trail and a slightly more relaxed riding position, making it ideal for long distance adventure riding, endurance training or commuting. Go fast or go long. You choose. The beautiful frame sets are equipped with simple and efficient Sram 1x group sets and beefy Gravelking Panaracer tires mounted on wide rims. Despite their size, these amazing tires roll perfectly on tarmac and work great on all off road surfaces - be it soft mud, rocky gravel or even snow. The Eurobike award and countless positives from the world's journalists have confirmed that Rondo has really brought something new to the table. With their unmissable branding, beautiful industrial design and unique features, they can humbly, but confidently say that the by introducing the RUUT CF they have given people a good reason to believe that the future is indeed beyond tarmac. Container size configured to conventional toolboxes etc. Wheels 20 ", also available in 16"
Always hitched to the bicycle with low tow bar. The upper load limit of the main components is considerably higher! Due to the low edge of the container, all kinds of boxes and packing bags can be strapped quickly and securely. Since a lot of gear is extra long, you need the option of being able to fasten even these types of transports in a few simple steps.. That’s why we developed the unique tub-form, which offers a simple and secure solution for almost all transport needs. Side boards, open or closed boxes, collapsible boxes, vegetable crates etc. can be retrofitted, screwed or strapped on without a problem. The low edge of the container allows the most versatile options of attaching. All types of boxes can be instantly and securely fitted. Packing bags and other flexible materials are also not a problem. As transport is a part of our everyday life: Get on your bicycle and take everything you want! And since it is getting more and more cramped in the cities, we need transport solutions that allow us to do everything but don’t take up space, that look good as well as being fun. That is how we came up with hinterher! After extensive research and field-tests, we have developed an ideal and versatile chassis-form. This form enables almost all transportation tasks to be solved easily, safely and elegantly. Most things are transported in crates, and, more infrequently, with fixed side panels. The low edge of our aluminium trays permits the quick and secure fastening of boxes and transport material of all types, yet provides little air resistance when pulled unloaded. Crates can be loaded in or simply lifted out and are strapped fast against slipping and falling. At the same time, the trailer is as small and lightweight as possible and as large as necessary. If required, the board walls can also be retrofitted. The hinterher bike trailer was developed by and for professionals. That is why we are committed to delivering the highest quality. Not only in terms of manufacturing and materials, but in terms of design and functionality as well. The focus was less on the travel trailer, which is built in an ultra-light manner, but much more on making it a day-to-day tool for handling (almost) all transport tasks. The use of high quality materials and manufacturing processes does have its price, but you can also feel and see it. The virtually indestructible, beautifully-crafted stainless steel chassis, which is meticulously powder-coated, withstands almost all retrofitting and add-on construction work. All components are of extremely high quality and are well thought-out, are available separately and can be easily replaced. Therefore our weight specifications for payload etc. are due more to the braking capabilities of the bicycle as well as for steadiness, in the case of very heavy, very high or generally improper loading — our trailer can, in extreme cases, support significantly more than the specified kilos. You can purchase your hinterher bicycle trailer from qualified retailers or directly from our online shop. By now you will have noticed that this project means a lot to us, how much thought has gone into the development of all aspects of the hinterher and how little we have acted on “economic” or “commercial” criteria. But it was and is important to us, that we have a product that represents the diversity and liveliness of its applications. The focus here was not on the appearance, but the quality of the "tool" and the representation of the diversity of urban life. Colourful and fun designs offer a new look in load transport and make you want to leave the car at home. The sophisticated colour scheme is an essential part of the appearance and also allows for special colour-coordinated trailer combinations for companies. This trailer makes a positive impact on your surroundings by conveying a clear attitude to life — not by pointing your finger, but just through a friendly and convincing appearance, e.g. a cycling tradesman. Transporting heavy and bulky things with ease — that was our idea. We live and enjoy working in the city; we love the benefits and want to actively contribute to making the city more liveable. We like to ride bicycles — even for work — and we experience every day how much more superior bicycles are to all other types of transport in the city. At Hinterher, we want to make everyday life easier, we want to make a high-quality product that we ourselves enjoy using and that works. That’s why the Hinterher is manufactured in uncompromisingly high quality and is being continually developed, using regional companies and short supply routes. And because the bicycle trailer is made so lovingly and beautifully, you will, firstly, absolutely want to have it and secondly, you will take good care of it, so that, thirdly, it will remain in good condition as long as possible. This is sustainability at its best. Load-carrying bikes are cumbersome and expensive; when you don’t need them, they just get in the way. And where do you park them? With a large, inflexible trailer you have the same problem — what do you do with the gear, when you don't need it? Why the hinterher bicycle trailer? Your biketrailer hinterher combines the three most important transport options in a single device: Bicycle trailer, handcartand trolley. In just a few clicks, the bike trailer transforms into a push cart, that continues to assist where the bicycle can’t. A few more clicks and the hinterher can be pulled up the stairs as a trolley. All important transport options are always at hand, cleverly integrated and with a timelessly elegant design. In other words: The trailer is loaded and driven up to the entrance of the house, decoupled from the bicycle using the hand cart's handle or taken into the building as a loaded hand cart — and all this without having to unload and load your gear again. The hinterher bike trailer fits through any door, into the elevator, from the supermarket checkout to home. A lot of gear has excess length. This is not a problem for the hinterher. Long loads can be laid easily and safely on the low edge of the container and strapped securely, without the centre of gravity moving too far up. We also have tow bar extensions for extra-long cargo. The sleek design also allows the smallest possible pack size with the greatest possible stability! One of the reasons we began developing this bicycle trailer: There was simply not a single trailer that met our demands for functionality, quality and design. So, one thing led to another, and in the end we had a smart, extremely versatile and artistically very distinct trailer — which caught on so well, we decided to go into mass production. Form follows function — ultimately we have rethought and improved all details of our bicycle trailer, have developed our own tools for it and even applied for patents for many of our inventions. The overwhelmingly positive feedback of experts and our customers confirms our belief. It is really is worthwhile to produce good quality in one's own country. As a company from Munich and as inner city residents, we have developed and built this bicycle trailer almost exclusively with regional partners — and almost all components continue to come from the region. The contribution to sustainability through the use of a bicycle trailer should not be spoiled by long transport routes and intransparent supply chains. That is why it is not a hollow advertising slogan, when we say: hinterher - MADE IN MUNICH! Hinterher trailers are available for special order from dlb cycles today. Container size configured to fit conventional toolboxes etc. Always hitched to the bicycle always with low tow bar. Guide to: which bicycle type should I buy? Picking the best bike to suit you can be a tricky task. Whether you want to get to work, get fit or just explore the countryside, the bicycle is the perfect tool to do that, but there are a confusingly huge — and growing — number of different types to choose from. So if you are asking yourself "which bike should I buy?" then read on as we guide you through the styles of bike on offer today to help you find the best one for your needs. It’s important to have a think about what you want to do with your bike and where you’ll be going because the best bike for you totally depends on this. Whether you want to commute to work, get muddy thrills in the countryside or go on long road rides, there’s a bike that can do that. Your choice of bike will depend on your own tastes, and the kind of distance and terrain you want to ride. There are many different types of cycling and a multitude of bikes that will let you achieve them. Whether you’re an urban commuter, a lightning-quick road racer, an off-road trail blaster, downhill nutter, fixed-wheel fanatic, gravel path explorer or something else, there's a suitable bike out there for you. As the name suggests, these bikes are all about riding on surfaced roads — often as fast as possible. They’ve got lightweight frames and skinny tyres designed to help you achieve maximum speed for minimum effort. They have dropped handlebars that allow you to get into an efficient and aerodynamic riding position and gearing that’s all about maximum speed. Under the guise of slightly more relaxed 'endurance' bikes, they'll let you embark on big-mile rides with friends, but also lend themselves very well to commuting thanks to their ability to cover ground quickly. However, the speed-focused riding position can be uncomfortable for some riders and the lightweight wheels and tyres are susceptible to damage from kerbs and potholes. Many dedicated road bikes, especially ones at the racier end of the spectrum, will also lack the ability to carry luggage — so if you need to lug a hefty load, a pure-bred road bike might not be ideal. Made to take on the most rugged off-road terrain nature can offer, mountain bikes are built tough with aggressive knobbly tyres designed to find grip on almost any surface. They also have powerful brakes that use motorcycle-style discs, and more expensive machines will have suspension at both ends for better control over rough ground. The gearing is designed to get you up and down steep terrain, with a wide range to take on the varying gradients. Even if you don’t plan to tackle mountain ranges, mountain bikes can be a good choice for general leisure riding thanks to their more relaxed riding position, though you’ll want to change the knobbly tyres for some slicks otherwise it’ll be very hard work on tarmac. While suspension is great for pure off-road riding, it means extra weight, costs more and can be inefficient, so it’s best avoided if you plan to spend most of your time on-road. If you fancy heading into the back of beyond, pushing your limits and exploring the path less travelled, then check out our buyer’s guide to the best mountain bikes. Halfway between a road bike and a mountain bike, a hybrid takes the comfy riding position of a mountain bike and pairs it with a lighter frame and fast rolling wheels more like those of a road bike. They’re great if you need to cover on-road distance but don’t want to contort yourself into an uncomfortable riding position. Sitting in a more upright position may be less aerodynamically efficient but it also allows you to look further ahead, a huge boon in heavy urban traffic. If you want to go quickly on good roads but you prefer a more upright position, or don’t get on with drop handlebars, this is the way to go. The only major downside, as mentioned above, with a flat-bar bike is that you’re not as aerodynamic as you are on a race bike and therefore you're not quite as quick. Hybrid bikes often use more powerful disc brakes that give more consistent performance in wet weather, though at a slight weight penalty. They’re also equipped with plenty of mounts that allow you to carry more luggage, such as specialist pannier bags. If you need to bridge the gap between urban performance and confident handling, then our guide to the best hybrid bikes will give you all the information you need to know. While a hybrid bike is best suited to the city, a touring bike is designed to take on everything from a commute to a continent-crossing adventure. They tend to have the same fast rolling 700c wheels as road and hybrid bikes but with fatter tyres that allow you to take on a mixture of terrain in comfort. The more relaxed riding position and more stable shape means that you can take on almost anything, whether it be a mountain pass when fully loaded with supplies or a quick spin to your job. If you need a highly versatile all-rounder then you should take a look at our guide to the best touring bikes, whether you’re going to familiar places or the route less travelled. Overlapping with the touring category, this type of bike is quickly becoming very popular and fashionable, and it's easy to see why — they combine road bike looks and speed with loads of frame clearance for fitting fat, knobbly tyres of 35mm or more that can get you across almost any terrain, including terrible tarmac, gloopy mud, bridleways, gravel paths and more. You can find adventure bikes made from steel, aluminium, carbon and titanium, and at a range of prices from the affordable to the aspirational. Many will include eyelets for fitting mudguards and pannier racks, disc brakes (hydraulic if you're lucky) for better braking, and more relaxed geometry than a road bike to deliver better handling on a range of surfaces. They're also a great bet for road riding in winter, just fit some puncture-resistant tyres and you're good to go. Full on cyclocross race bikes are similar in concept (fatter tyres, drop bars, discs in many cases), but they may not have fittings for mudguards or panniers. They'll also tend to offer a racier position. Popular with cycle messengers, and the only option if you're riding on a velodrome, the fixie is the ultimate in simplicity. A true fixie has no freewheel, so you always have to pedal if you’re moving. That brings an unprecedented degree of connection and control once you get used to it, but fixies are definitely not for beginners. They’re lightning-fast in the hands of an accomplished rider and the lack of complexity means they require minimal maintenance. They're great for confident commuters that don’t mind suffering if they live in a hilly location and want total control at all times, but it’s a high level of commitment for the average cyclist. Once you've got the hang of riding a fixie, they're among the best bikes for commuting. This is what makes them popular with cycle couriers, who also like their reliability — a legal-minimum fixie with just a front brake has almost nothing on it to go wrong. For reviews of the latest fixed gear and singlespeed bikes, check out the 'urban' section of our Bikes & Gear browser. A Dutch-style city or town bike (or 'sit-up-and-beg') does a sterling job of providing short-range transportation in flat towns. What’s appealing about this style of bike is its simplicity, practicality and robustness. There’s very little to go wrong if you’ve just got one gear, and hub gear versions with up to 11 gears are still pretty tough. Typical town bikes have chainguards and flat pedals, so you can hop aboard in your regular clothes. Self powered dynamo lighting and a lock are often built in, so you won't need many extras. They shrug off potholed streets, while an upright riding position gives you a commanding view of traffic. The main downside is that they tend to be quite heavy, and while the riding position is comfortable, it's not particularly efficient and you won't want to take on any big hills. For reviews of the latest town bikes, check out the 'urban' section of our Bikes & Gear browser. With assistance from a powerful motor, electric or e-bikes are great if you're a commuter who needs to arrive at work in a less sweaty state, or if you’re less confident about your fitness. Laws vary from country to country, but in the UK electric bikes are limited to 25km/h (15.5mph) and can be used on the road without a helmet or licence — they are bikes as far as the law is concerned, as you still need to pedal to activate the electric assistance (hence the term 'pedelec'). Most of them are designed to be comfortable and easy to live with thanks to flat bars, mudguards and luggage capacity. There’s a signficiant price and weight premium over an equivalent regular bike for the battery, motor and control electronics. However, as the technology develops, both prices and weights are coming down. The world of electric mountain bikes — also known as e-MTBs — is also a rapidly expanding one, allowing riders who may have needed to swear off their dirt riding activities to keep enjoying the countryside for longer than they might have imagined. There are also a handful of drop-bar e-road bikes on the market, such as the Giant Road-E+, but this remains a fairly small niche. If you need to combine a bit of riding with urban portability, then there’s nothing better than a folding bike. They’re best suited to short rides — especially where storage space at either end is scarce — and their portability means they’re ideal when you might have to hop onto a train or a bus to get where you’re going. That means that folding bikes are phenomenally popular among big-city commuters. The most compact ones will fit under your desk and they’re easy to carry as well. A folder won’t ride like a conventional bike because of the necessary compromises, but the best modern folders are surprisingly capable. The first thing to keep in mind is that children's needs vary wildly depending on their age and ability. Balance bikes are where it's at for the pre-school crowd, then by the time they progress to 16in wheels they'll (hopefully) be pedalling away without stabilisers before very long. Move up a notch to 20in wheels and gears start to make an appearance, then by the time they're nine and riding 24in wheels, they'll basically be riding smaller versions of adult bikes — disc brakes, suspension and all. PELAGO BICYCLES. Simple, strong and practical. Pelago is a bicycle company born out of local cyclists’ needs and demand for new bicycles for daily transport and alternative travel. The company contributes to cycling with functional, aesthetic and strong products. We are rooted in the Helsinki pavement, but approach cycling from greater context. It is a logic and positive option compared to other vehicles for urban trafic. Regardless of style and speed, the bike is a practical, economic and efficient method to experience the surroundings and move around in the urban environment. The idea for Pelago developed during the last decade. Riding long kilometers in the city and out on the road has brought us where we are. We have taken part in bike development at the university, learned our lessons at a local service shop, dug out parts from junk yards, and fixed bikes for our friends. Yet there is still a lot to explore, and that keeps us motivated. Our aim is to make bicycles that you can be as proud of as we are – bikes that still ride in 2050 – bikes that serve the purpose. We believe in optimism. Sustainability is a common effort. It's not just what you buy – it's what you make. It's about what you do at work. Small things matter – and we want to contribute. Still, we try not to take bikes too seriously. Coming from a creative background, we look forward to enjoy the work and share the fun with others. Since the introduction of our first line of utility bicycles our catalog has expanded to bikes that shall take you further. Alternative travel is in the heart of our philosophy and we hope you find your preferred vehicle of personal transport among our selection. The name Pelago is short from 'archipelago' which is one of the prettiest parts of our homeland Finland. The authencity of the islands and the nature has effected our way of thinking – and the northern background has signed its name on the goods we make. To cope the heat of the summer and the snow and sleet of the winter one must be well-prepared. We make goods that you can rely on. Simple, strong and practical. Where you take Pelago, it's up to you. Some of us are weekend warriors. Some of us are serious athletes. Some of us like to jump off things other people call cliffs. But we all share one thing. We worship at the temple of raw, wild fun. That sacred place where time stands still or stretches into infinity. At Primal, we make the clothing and accessories you need to answer that call, so you can get out there and make life as fun as it can be. From fabrics that enhance your performance to t-shirts you can wear on your day off. So throw on your Primal and go play nice with the other wild, crazy animal. In today's ever-changing world, community has many different meanings. It could be where you live, where you work or where you play - it is wherever your existence becomes a part of something bigger. Whatever your definition of community, we would like you to be a part of ours. Primal is committed to the progression of cycling for all abilities and dedicated to promoting causes and events that benefit people's lives. We believe in cycling as a positive influence globally and are dedicated to increasing the number of people that choose cycling as a means of recreation, environmental conservation, and health. A beautiful, colorful fall evening ride in Denver, CO.
Dun Laoghaire, come over for full selection and sizing guide. Csepel is a bike manufacturing company founded in 1928. Reborn in 2010 with the purpose to create gorgeous bikes and encourage people to get involved in their environment. Csepel is manufacturing all the bikes in their Hungarian (EU) Factory under heavy supervision made by hand by professionals with long time experience using high quality components. The successor of the Csepel bicycle manufactory, the Schwinn-Csepel Zrt. is the only company in Hungary which deals with all-inclusive bicycle production. The company was founded in 1928 by Weiss Manfréd, then as a result of the socialization it was operating as part of the Csepel Művek and produced the well-known Csepel bicycles. Right after the end of the communist regime the factory had been privatised and run by several succeeding owners before falling into the hands of professional Hungarian investors with safe financial background. Consequently, customers have been provided with traditional Csepel bicycles of high quality produced under innovative conditions. A number of former conventional bicycles have been refreshed to some extent according to the requirements of modern times, nevertheless some old-school types are still produced which evoke the early models. In addition, several “modern” bicycles are made, such as the popular trekking, mountain and road-race bikes. Currently, more than 50 different models of bicycles are manufactured in Csepel, and every year another 5-10 types are expected to be launched. The bicycles traditionally get to the customers through an extended retailer network. Our professional experience gained for years is put to good use in designing bicycles for everyday use as in case of bicycles produced for Magyar Posta (Hungarian Post Office Ltd., Határőrség (Office of Border Wardens), MOL (Hungarian Oil and Gas Company Plc. Schwinn-Csepel Zrt. aims to offer customers all-inclusive service, therefore an excellent professional service network operates at our company, ensuring the continuous supply of Schwinn-Csepel bicycle parts. In order to make the product range complete, we offer fitness equipment for home use, as well as a whole set of electric bicycles for those who prefer light exercise but still long for exploring the nature. We are devoted to promote environmentally friendly transport both on domestic and international markets. According to this our company takes part at events which intend to satisfy the needs of a traditional, family-centered community. Additionally, encouraging sports is one of our missions. We desire to help people to change their lifestyles in order to have a better state of health and physical condition. To support this idea Schwinn-Csepel Zrt. produces high quality bicycles for reasonable price to provide opportunity for all ages to enjoy the magnificent experience of cycling. We are happy to introduce Riese und Müller in Dublin, Ireland. From parents’ garage to the world stage of the bike industry: it all began with a good idea and the Hesse Innovation Prize 1993. Today the Riese & Müller premium brand is well known from Japan to Europe and the USA. Since studying engineering at Darmstadt Technical University at the end of the 80s, Markus Riese and Heiko Müller have been friends. They were both already keen cyclists as well as gifted amateur inventors. Modifying bikes and developing their first ideas for products, that’s how they spent their afternoons and evenings. Nothing more than a hobby until 1992, when Markus had a revolutionary idea for a completely new folding principle. A full suspension, folding bike, whose suspension pivot points are the same as the folding joints. The Birdy: a completely new, comfortable bike, which you can take with you everywhere and which has nothing in common with the folding bikes of the 1970s. The next years were spent on further developing the Birdy, starting to think about production and looking for capital. At Eurobike 1994, Markus and Heiko had a new prototype on display. “I’ll build that for you – I want to sell it!” With these words from the Taiwanese bike manufacturer, George Lin, Riese & Müller became a real business. Markus traveled shortly afterward to Taiwan to discuss the details with George and it was clear that both parties shared a commitment to high quality. It was quickly agreed that the Birdy would be produced in Taiwan. From June 1995, the Birdy was officially on sale in Germany, Japan and the USA. A great start in business for the two engineers from Darmstadt. But the Birdy was just the start. Marko and Heiko have plenty more ideas for exciting bike concepts. Inspired by the mountain bike boom, they are convinced that full-suspension bikes, also called ‘Fullys’, fitted with 26” tires, are the ideal vehicles for a comfortable ride. The slogan ‘Full suspension for bikes’ would become reality. In 1997, Avenue and Culture are the first models of the new comfort bike range and they are joined in 1998 by the sporty Delite. They receive a rapturous reception from a demanding public. Riese & Müller becomes a brand for people who think bicycles matter. They value high quality, durability and creativity. In particular, the distinctive Riese & Müller look wins more and more admirers. Thanks to more and more concentration on product development, the range of models grows constantly and they look to innovative concepts. 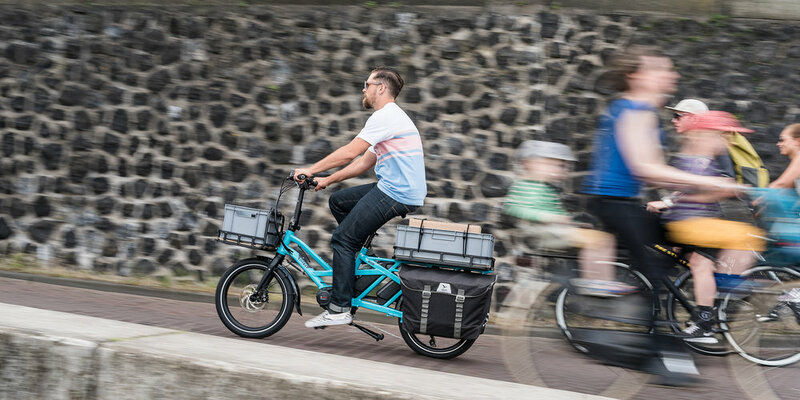 For example, the Gemini comes on the market: a cargo bike with integrated forward child seat. Or the Equinox ‘armchair bike’ with its comfortable back rest. Riese & Müller realize the time is not yet right for some ideas. Nonethless, the company retains its youthful and innovative character. People, especially in urban areas, realize more and more the importance of living in an environmentally friendly, sustainable, and responsible manner. Mobility and bike use are changing. The Birdy folding bike fits into our life just as well today as it did then. E-Bikes are becoming more important. 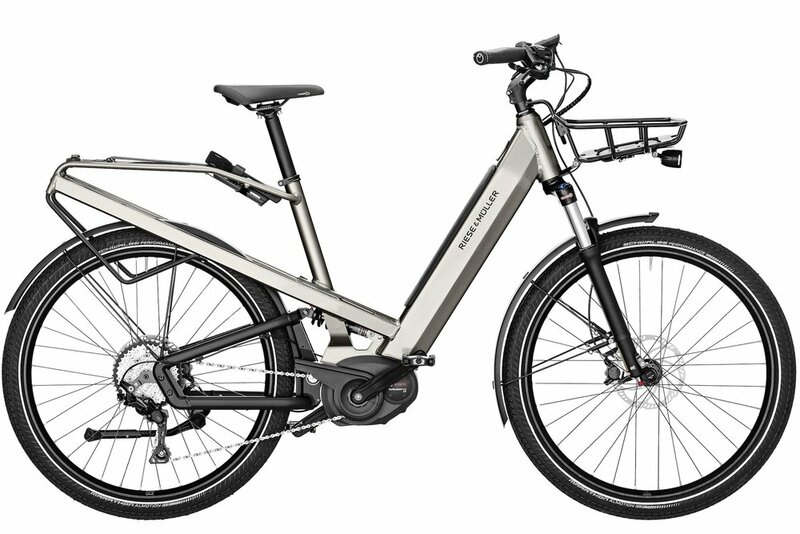 In 2008, Riese & Müller unveils its first E-bike models and the success of these electric-assisted bikes is enormous. The Riese & Müller principle of full-suspension bikes with 26” tires is the perfect base for comfortable and safe E-bikes. 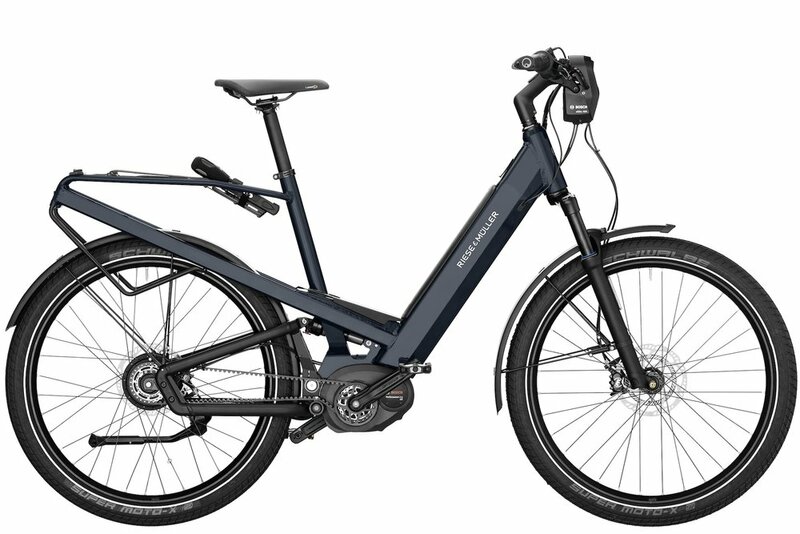 Riese & Müller focus on new areas and invest in innovative E-bikes and E-bike technologies. Perfect workshop service, trouble-free technology and the best ride possible are new priorities at Riese & Müller. The goal: to become market leader in the premium E-bike sector. This means the company face great challenges but are part of a fast-growing market. Riese und Müller consistently follows its own philosophy "Because we believe". 10 principles set the course. Consistency and concentration – that is Riese und Müller. We focus on producing full-suspension bikes and a well designed range of models. We consistently pursue our goal of perfecting each model for its chosen application. Because we believe. That’s our philosophy. We develop and produce full suspension bikes exclusively. Our bikes are innovative and of the highest quality. We provide comprehensive solutions tailored to its intended purpose. Excellent handling, high fun factor and a futuristic design are all top priority. Customer satisfaction rather than maximizing sales guides our thinking. Their needs and concerns are central, every critique simply spurs us on. We aim for an ongoing dialogue with our customers, our suppliers and dealers. A product is only as good as the local service it receives. Our bikes are sold only at select dealers who participate in educational seminars to ensure they are always ready to meet our customers’ needs. For us, cycling is a lifelong joy shared by all our employees. Our employees are our greatest asset. We work as a team to achieve common goals and let our staff take part in our economic success. A good atmosphere in our company ensures a fun work environment. Our products and internal processes are constantly optimized. In this era of communication, we inform you about bicycle technology, cycling and the pleasure of riding full suspension bicycles. Riese & Müller builds not just bicycles. Behind every bike there is a master plan. 3. continual experimentation on completely new concepts for the future. All three elements are firmly established in our daily work. That means we are constantly working on 1., 2. and 3. For us, this approach to work is a motivation and security at the same time. We make our customers happy with perfect products. With our experiments and playing around, we stay innovative, young and different at the same time. FOR ANY QUESTIONS ON THE RANGE EMAIL US FOR MORE INFORMATION HERE. Fix Your Bike is an adhesive graphics kit designed by tagmi to customize your bike. With dozens of graphic patterns to choose from, there is something to satisfy every personality and mood. Each kit contains 7 custom designed graphic pieces printed on a special film. Much more than a simple sticker, this material withstands water, UV rays and abrasions and can last up to 5 years and made in Italy. Using only a ruler and utility knife, anyone can follow tagmi’s simple instructions to apply the graphic adhesive. To apply a different Fix Your Bike kit or to return the bike to its original appearance, the removal process is easy, requires only a hair dryer and leaves no damage or residue. Each season the existing collection, will be replaced and supplemented by a variety of new graphic designs. RSP is €49 - €59 depending on size of the kit. AVAILABLE NOW ON SPECIAL ORDER, CONTACT US VIA FORM. Note: Price does not include fitting, depends on scope of the project. Hövding is the world's first airbag for cyclists and is the result of intensive research since 2005. Through advanced sensors, Hövding can sense the cyclist's movement patterns and will react in case of an accident. The unique airbag will then inflate, fixate your neck and provide the world's best shock absorption. Film made by Hövding, april 2014. Short film about why cycle helmets are far from as safe as we think they are, highlighting the gap between traditional cycle helmets and a new, radically different alternative: An airbag for cyclists. The airbag is designed like a hood and made in an ultra-strong nylon fabric that won't rip when scraped against the ground. Hövding protects nearly all of the head, while leaving the field of vision open. The inflated airbag covers a much larger area than a traditional cycle helmet and is designed according to current accident statistics. The protection is greatest where it is needed most and the airbag provides extremely soft and gentle shock absorption. The pressure remains constant for several seconds, making it able to withstand multiple head impacts during the same accident. After that the airbag slowly starts to deflate. The gas inflator that inflates the airbag is placed in a holder in the collar on the cyclist's back. Hövding's gas inflator is a so called cold gas inflator that uses helium. Thousands of cycling accidents were re-enacted using stunt riders and crash-test dummies to collect the specific movement patterns of cyclists in accidents. In parallel, an equal amount of normal cycling data has been collected using test cyclists wearing Hövding in everyday cycling. Based on this collected data, we have developed an algorithm that can distinguish normal cycling from accidents. Normal cycling means all the situations and movements that usually happen in a cycling context, bending down to pick up keys, etc. In the highly unusual category of cycling accident where no measurable movement appears within the cyclist, i.e. if an object falls from above straight down on the cyclist's head, Hövding will not react. To put on your Hövding, place it around your neck and pull the zip up under your chin. The zip needs to be completely closed for the collar to work correctly. There is an on/off switch on the zip tag that activates Hövding when it's attached to the right-hand side of the collar. Similarly, Hövding is turned off when you unclip the on/off button. At the front of the collar there are LEDs showing the battery level and whether Hövding is on or off. On/off is also indicated by a sound signal. Hövding's battery is easily charged through a computer using the USB cable included, when LEDs and a sound indicate that the battery is low (after about 9 hours of cycling). You can also charge your Hövding using an ordinary mobile phone charger with a micro USB connector. The collar is made of waterproof functional fabric that provides the best possible protection for the built-in airbag system. The collar isn't washable but is protected from wear, sweat and dirt by the surrounding fabric shell. Any marks on the collar can be rubbed off carefully with a damp cloth. The collar is ergonomically designed with even weight distribution across the shoulders. It is slightly heavier at the back than at the front so that when cycling the weight is resting on your back. The main purpose of the enclosing shell is to make it possible for you to change the appearance of your Hövding. The shell is easy to remove and wash, or change for a different one to match your outfit. If your Hövding has been deployed we would like you to contact us. Inside the collar there is a black box that records 10 seconds of data on the cyclist's movement patterns from an accident. In some cases the data from an accident is interesting and valuable to us in our on-going development work. Some insurance companies cover part of the expense of a new Hövding after you have had an accident. Contact your insurance company to hear how they handle your case. Hövding is CE marked after undergoing an extensive process for approval by SP Technical Research Institute of Sweden. CE marking is required for a cycle helmet to be able to be sold in Europe and certifies that the helmet complies with the requirements laid down in the EU Directive for personal protection equipment. All types of helmets have to provide protection for the head in the form of shock absorption and force distribution in an accident. Complete protection in the event of an accident and functioning during normal use are basic criteria for CE marking. The helmet must also be designed so as to cause no unnecessary risks, i.e. there must be no sharp edges, etc. which could injure the wearer. The environmental tolerance criteria for helmets dictate that they must be able to withstand moisture and work in heat and cold and when subjected to the sun's ultraviolet light. AVAILABLE ON SPECIAL ORDER, via Hovding.